LightSquared suffered a new setback in its bid to become a 4G LTE provider after another high profile investor has pulled out of the partnership with the company. Sources talking to the Wall Street Journal said that wireless carrier Sprint Nextel plans to terminate its 15-year 4G contract with the firm and return $65 million in prepayments. One major stipulation of the partnership made by Sprint was that the company receive the correct approvals, but to this date it has failed to do so, despite two extensions to the previously agreed deadlines. Should the partnership end it would leave the wireless broadband effort without any major partner as they push forward their plans to build a national wireless broadband network in the US using satellite infrastructure. The move follows the Federal Communications Commission’s (FCC) move last month to suspend indefinitely the startup's conditional waiver to operate after they concluded that it was unavoidable that the firm's planned infrastructure would likely interfere with other devices, such as high-precision GPS services. At the time, neither the company nor those responsible for the GPS receiver infrastructure could reach an agreement regarding the exact cause of the interference. According to Computer World, GPS makers blamed the interference on "overwhelmingly" powerful LTE signals too close to the GPS receivers, and LightSquared argued the problem was GPS receivers were causing the interference by "improperly" reading their spectrum as well as the one used for GPS. Just two weeks after that announcement, LightSquared CEO Sanjiv Ahuja resigned from his position at the company. Alongside that was the revelation that the firm planned to slash its workforce by 45-percent in a bid to reduce expenditure. 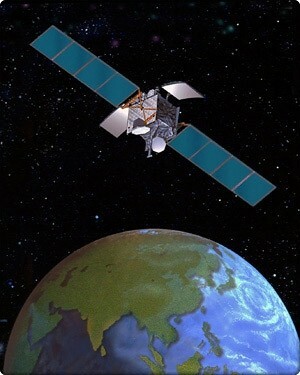 If that wasn’t enough to deal with, the financial position of the company was called into further question in February after it missed a $56.3 million scheduled payment to their satellite partner, Inmarsat, who are providing the spectrum the firm plans to use to build its network. At the time of the FCC’s decision, LightSquared claimed they had enough operating capital to wait several quarters in order to gain approval through the appeals process. Sprint and LightSquared did not respond to requests for further comments regarding the recent developments.